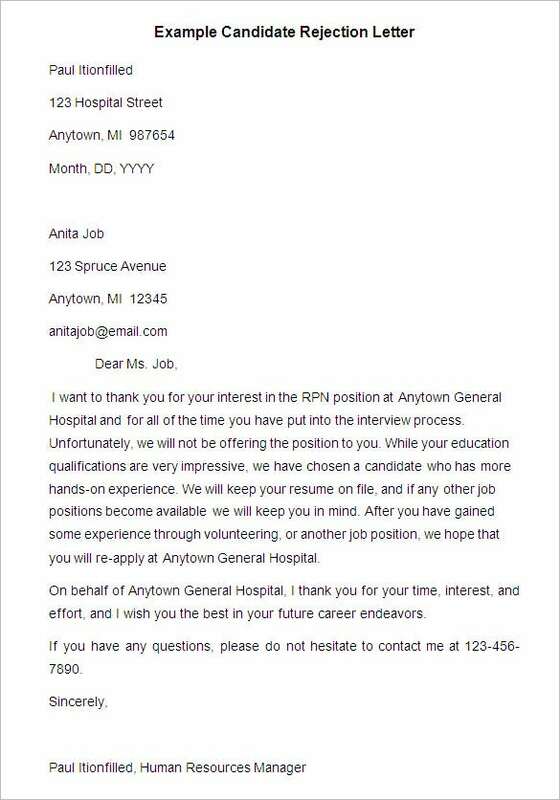 Many requests are made of the HR department on a daily basis, as employees are hardly without grievances. 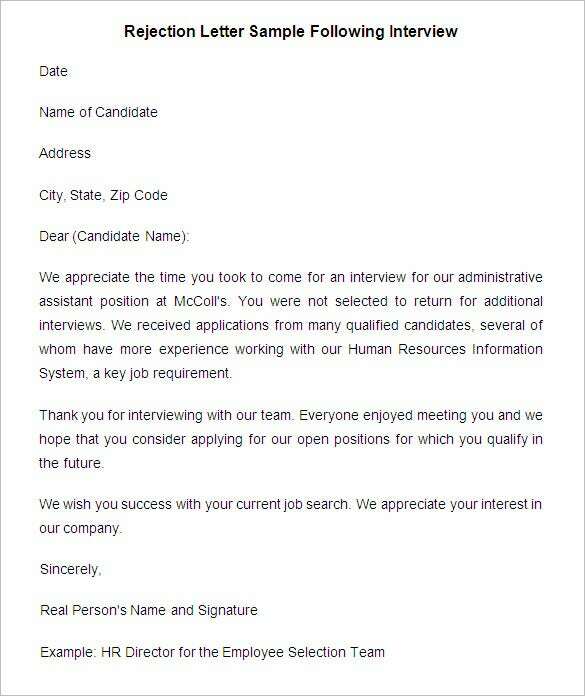 Moreover, it is the company’s HR department that must also respond to those seeking a job at the company. 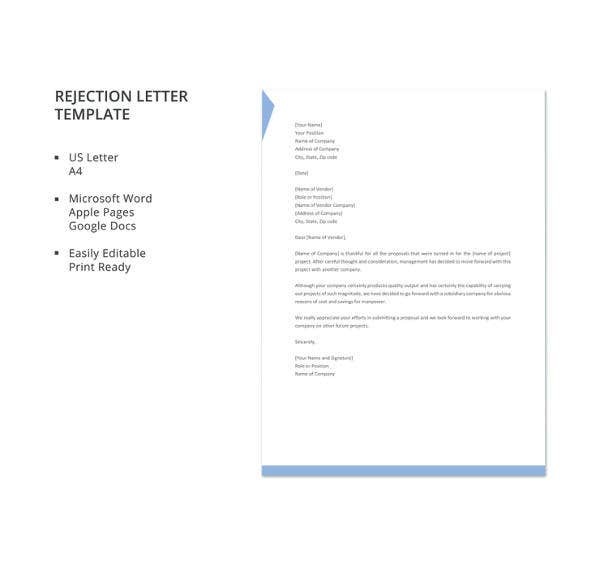 You may also see Formal Rejection Letter Templates. 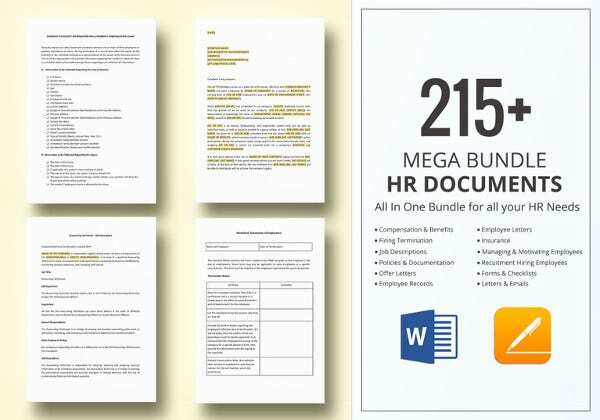 Choose whether the letter would appear in Times New Roman, Arial or some other font, determine the size of the fonts, etc., thereby tailoring the letter to the personalized needs of the department. 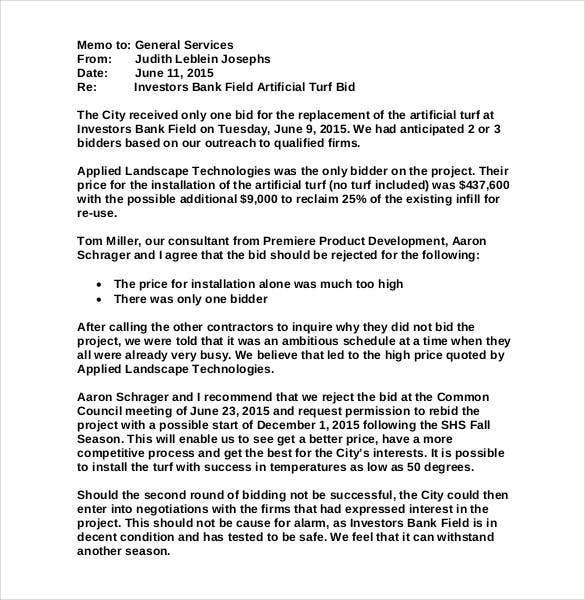 The department can download the templates for free and keep them as samples, not accruing any additional costs. 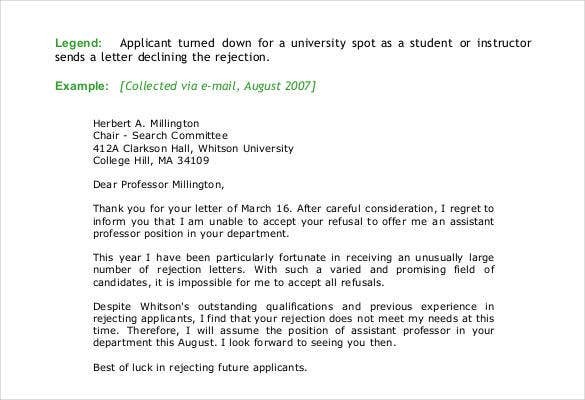 You may also see Professional Rejection Letters. 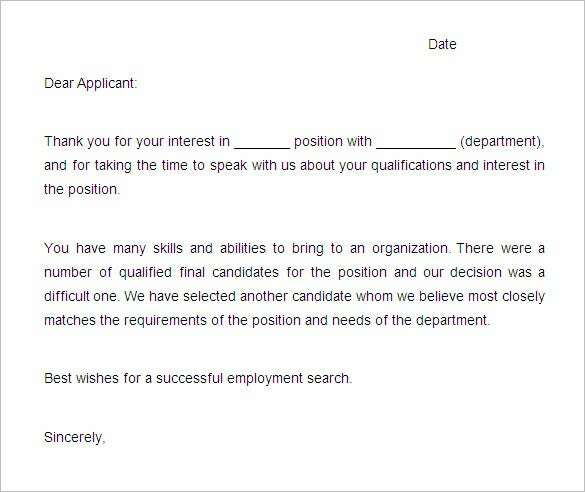 These are also a kind of Acknowledgment Letter that can be used to address several situations, such as the rejection of the grievances of certain employees the department deems too petty or turning down an application seeking work at the company. 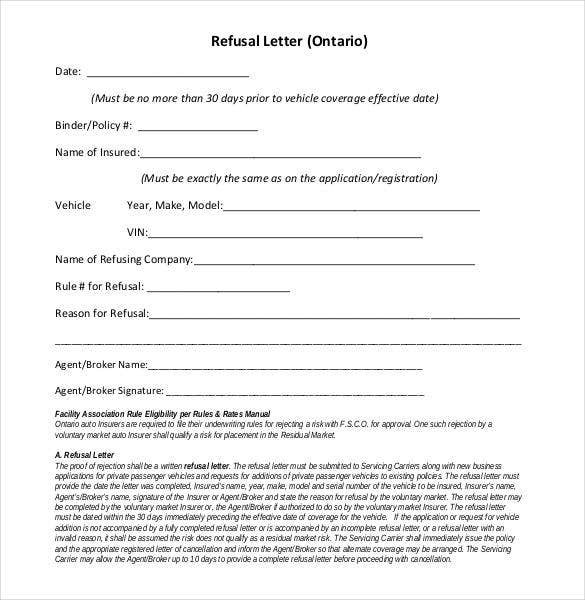 Since it is also uncomfortable to write such letters, the templates are a ready solution. Change the body of the template or select a template dealing with the issue that is being handled. 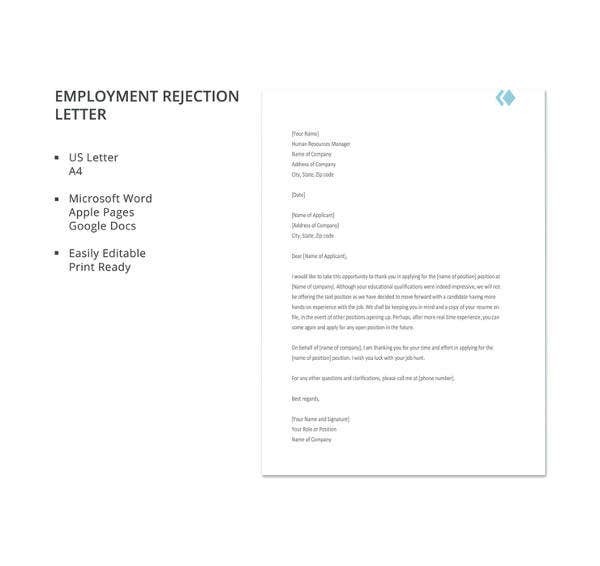 Layout and wording can be changed easily with different rejections requiring different tones, such as writing Termination Letters where the services of certain employees are no longer needed. 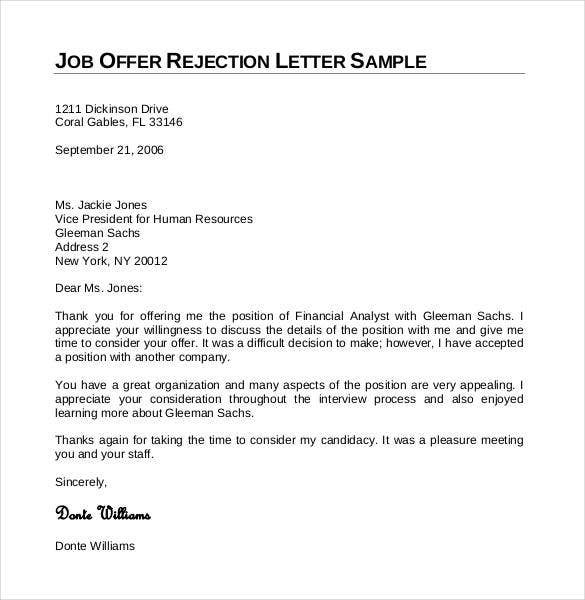 The rejection letters should have proper salutations and should end with a thanking note and should thank the organization for providing an opportunity to work with the organization. 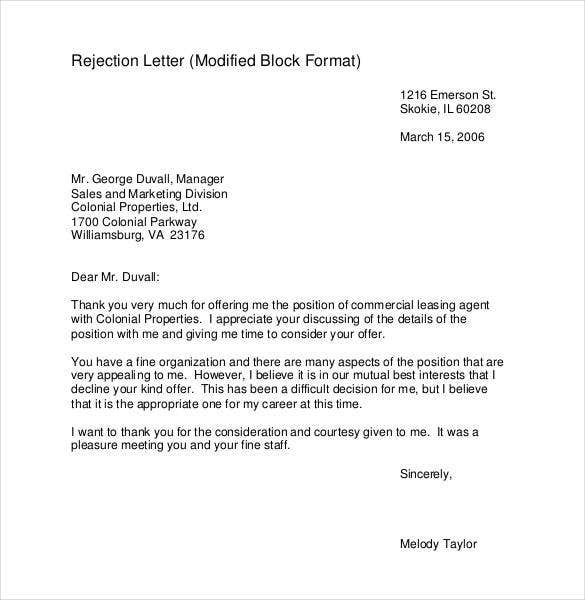 There are various Standard Rejection Letters and appraisal rejection mail letter templates available online which can be downloaded and used by making some small changes. 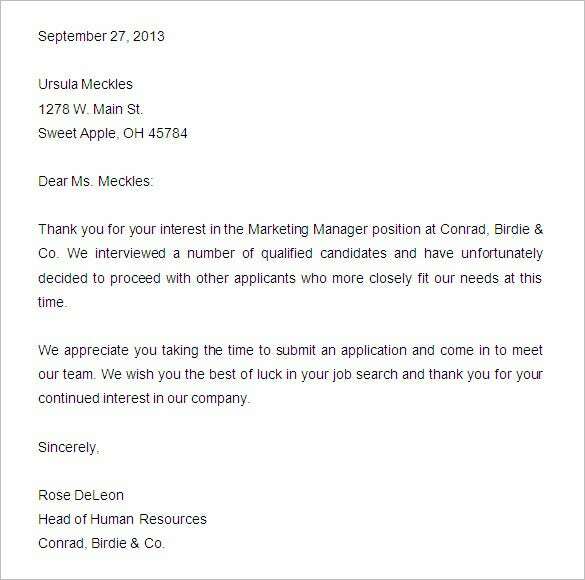 The rejection letter to a job applicant should be written in a polite and professional manner. 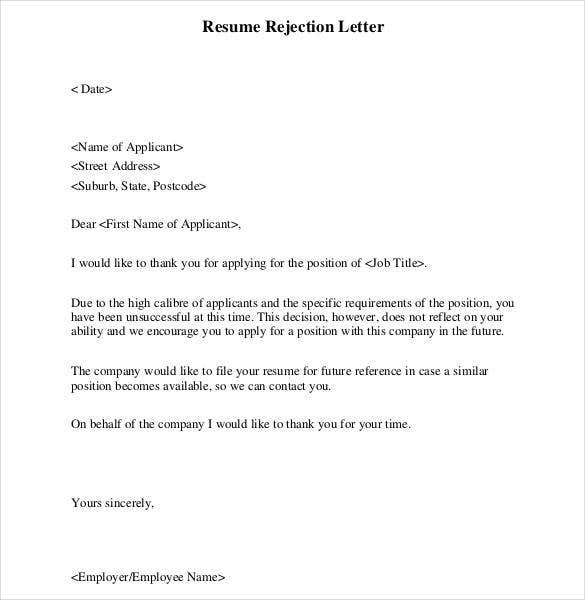 The reasons for rejection should never be personal or based on the caste, religion, looks and the place of the candidate. 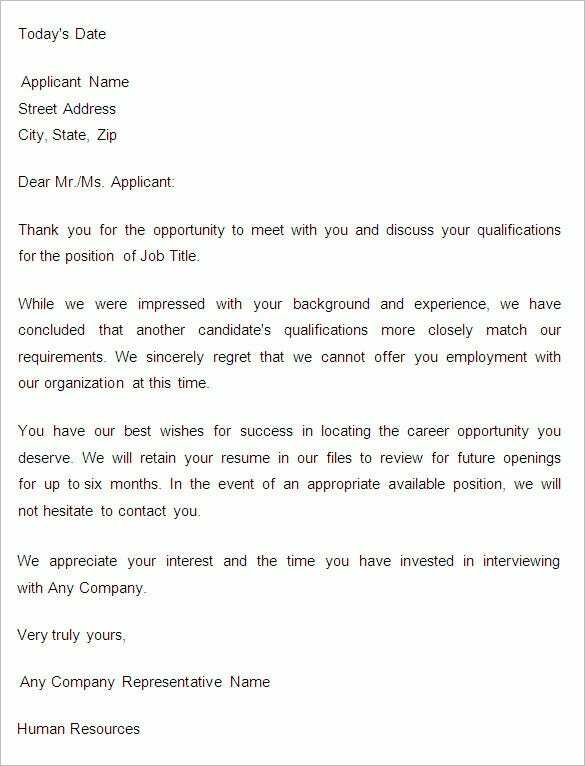 The rejection letter should always mention the reason as the candidate is not selected as he/she is no able to meet the requirements of the company/organization. 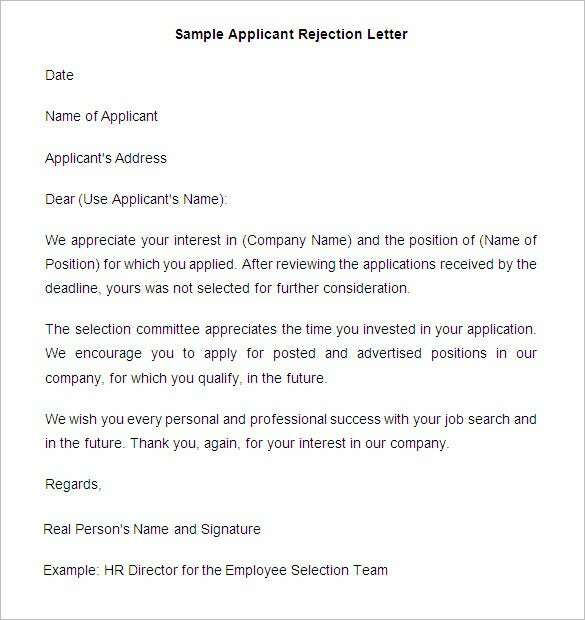 There are various Formal Rejection Letter Templates and complaint rejection letter templates online which can be used by the organizations. 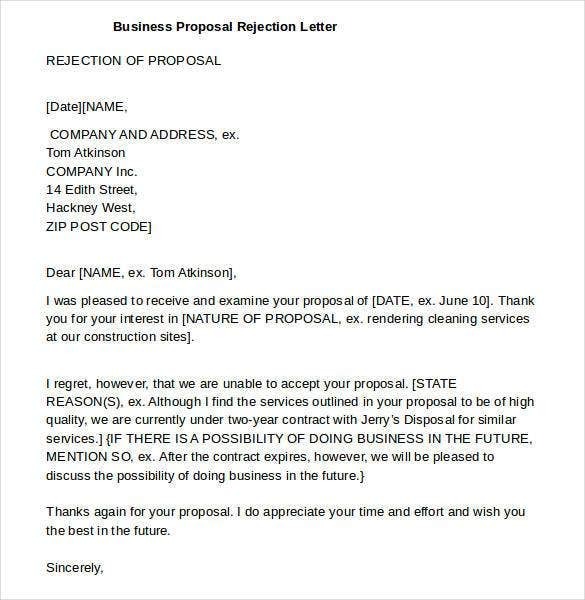 sample The rejection letter should be replied back in a positive way and should never be replied in a harsh or negative manner. 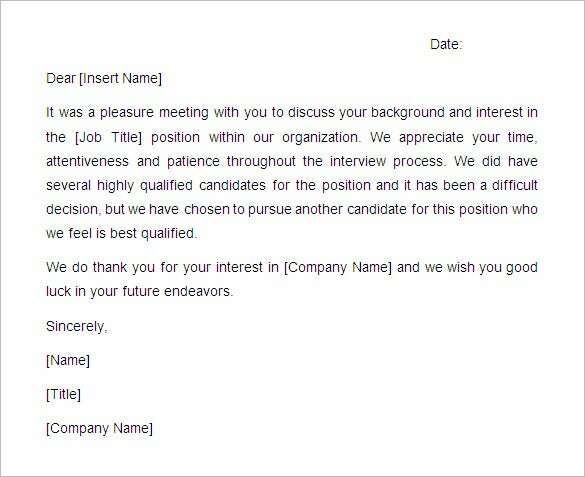 The reply letter should always end with a thanking note thanking the organization for giving an opportunity to interact with their team and he/she is interested to work in the organization in the future. 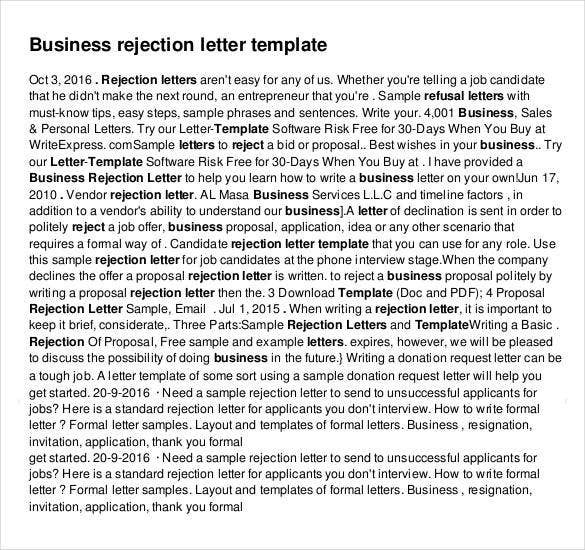 There are various templates for Credit Rejection Letters, employment decline Rejection letters, promotion rejection letters etc. 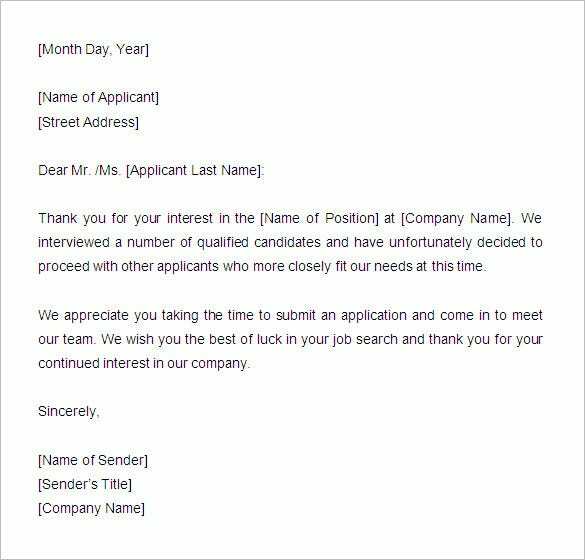 which can be used by the employees or candidates looking for jobs to reply to the organization. 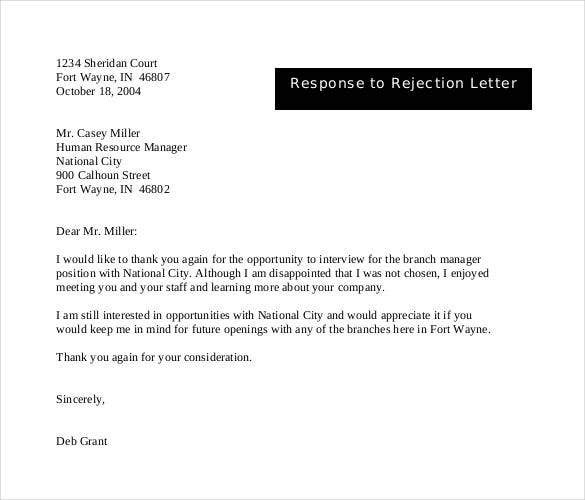 The rejection letter by the employee or the organization should always have a positive note. 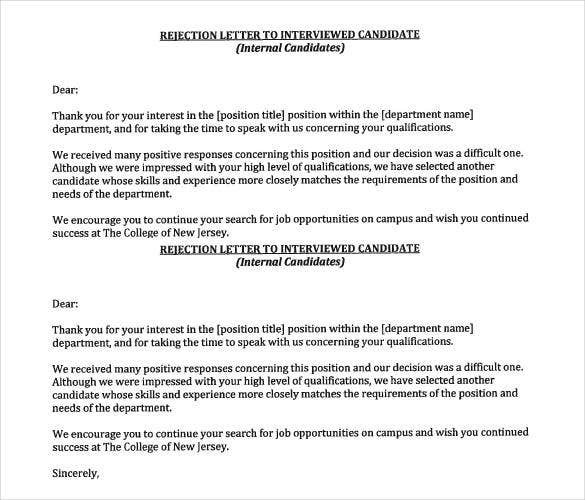 Care should be taken to thank the organization for interviewing if the rejection letter is sent by the candidate rejecting the employment offer. 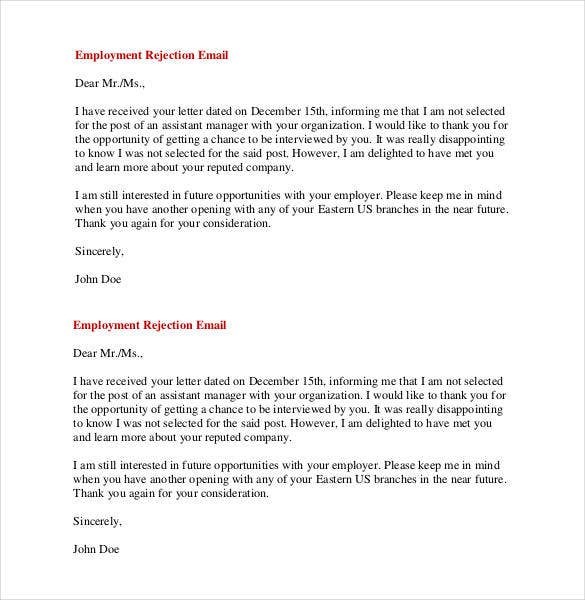 In case the rejection letter is sent by the organization to the employee rejecting the employment then care should be taken not to reject the offer based on personal reasons. 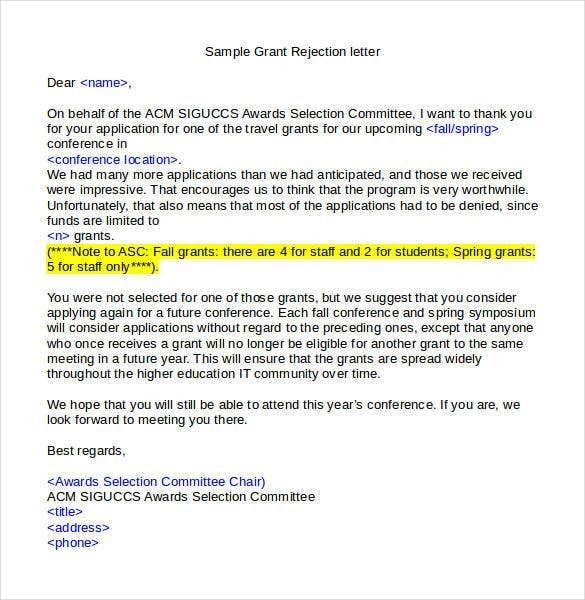 There are various rejection letter templates such as Grant Rejection Letter Templates which can be used by the candidates and organizations. 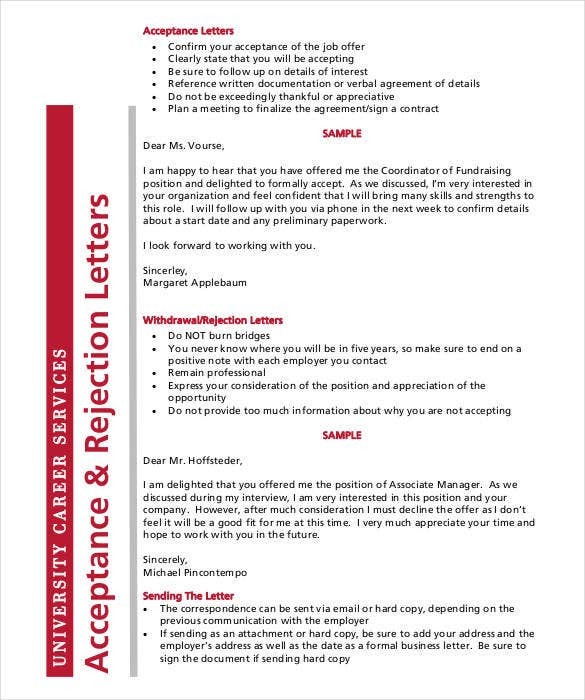 The Offer Rejection Letter Templates , Harvard rejection letter templates are the most sought after rejection letter templates online. 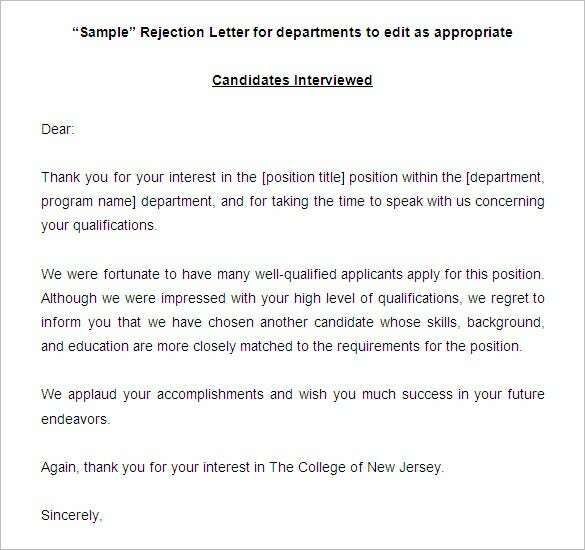 Thee rejection letter templates can be used by making minor changes or by filling the required fields. 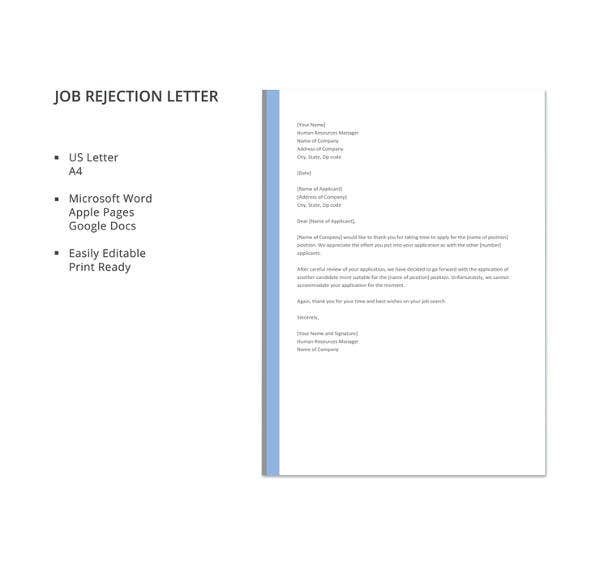 The rejection letters are a way to communicate the interest of the candidate or organization. 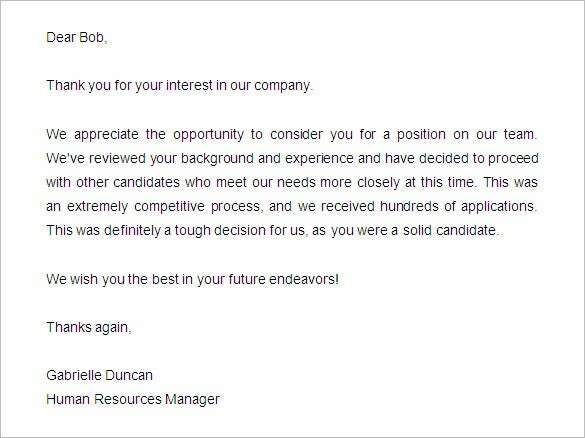 The rejection letters are very useful as they are professional and help the candidates and the organizations to communicate with the other parties. 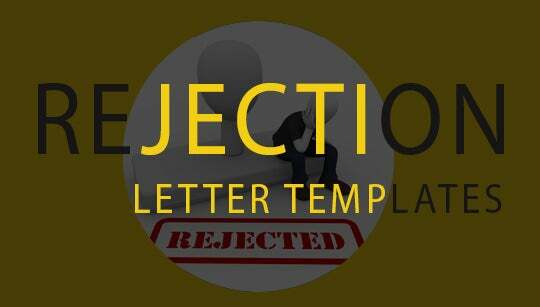 The rejection letters are very useful for the candidates applying for various jobs, organizations conducting interviews, students applying to the institutions etc. 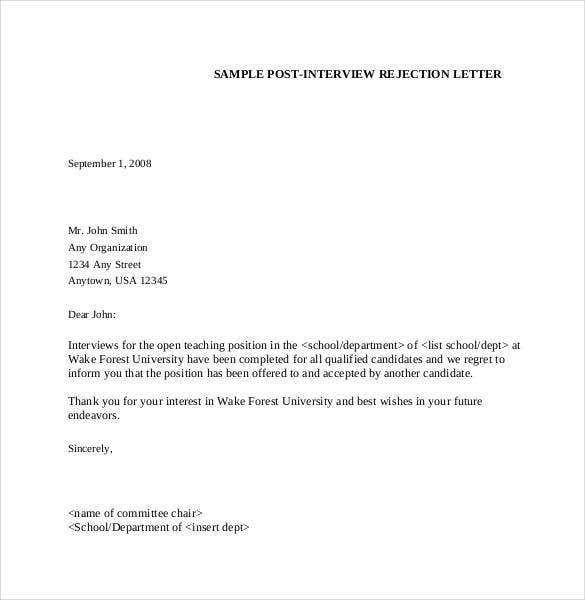 As the candidate can choose only one organization to join, as the organization cannot all the candidates, as the students can join in only one institute the rejection letters help them to communicate with the other parties in a professional way. 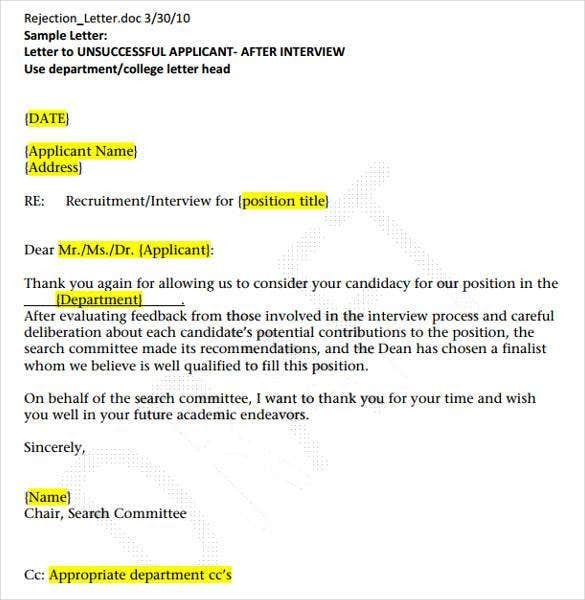 The Sample Internship Rejection Letters are the most sought after rejection letters online.